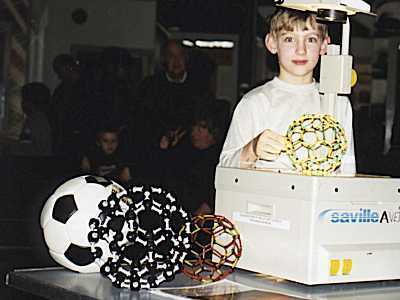 How can the twinkling stars in the night sky be related to your pencil and what has all this got to do with footballs? 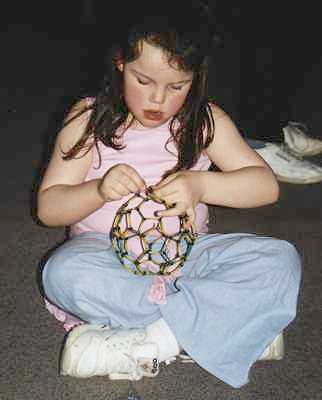 Find out with Jonathan Hare of the Creative Science Centre what a Buckyball is and make a model of one to take home. 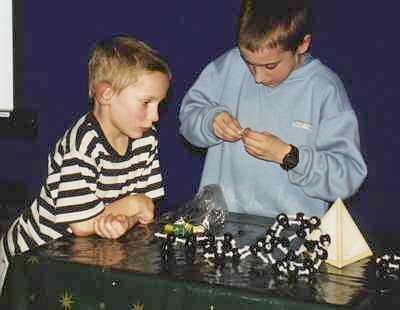 The Creative Science Centre ran nine workshops at the Science Museum this Febuary half-term. 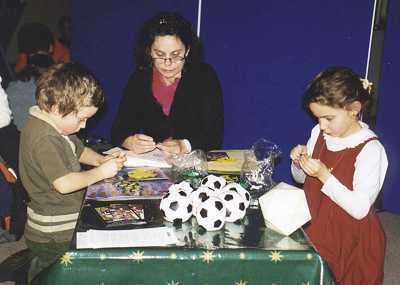 The workshops were aimed at 8 years and above and were intended to be limited to 30 places. The Museum was packed with thousands of kids and parents during the half term and each of our workshops probably had between 50-60 people! 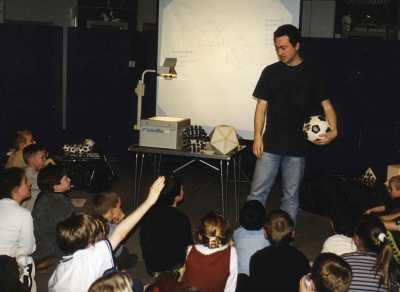 The Workshops consisted of a quick tour through space and time from astronomy down to atoms and ended up with a session making molecular models of C60, Buckminsterfullerene. The Museum sponsored the models and were free to those who were involved in the workshops. The CSC would like to thank the help and kindness of all those at the Science Museums Visitor Programme Unit as well as all the wonderful questions and enthusiasm from the audiance. We really had a great time!